Information from the local administration prompted the action. The I-T department had reportedly got the information that "lots of cash" was stashed on the first floor of the house. 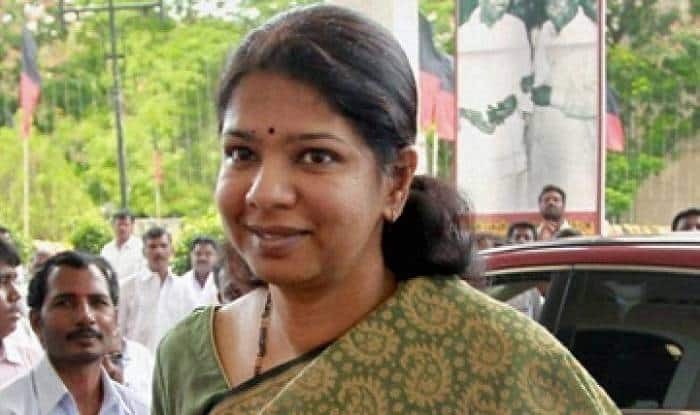 Chennai: Late night income tax raid in the house where DMK’s Thoothukudi candidate Kanimozhi was staying in her Lok Sabha constituency has revealed nothing, said reports on Wednesday. The development assumes significance as it comes in the wake of the election in another constituency, Vellore, being cancelled over cash haul. On Thursday, 39 seats in Tamil Nadu go to polls. Sources told ANI that information from the local administration prompted the action. They said Kanimozhi was present during the raids and she cooperated. The I-T department had reportedly got the information that “lots of cash” was stashed on the first floor of the house. During the search, DMK supporters gathered outside the house and staged a protest, raising anti-PM Modi slogans.